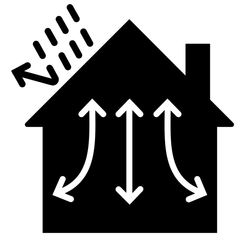 What's that noise your HVAC system is making, Murfreesboro? Don't worry because you've got Murfreesboro Heating And Cooling right here! We're a local company that understands the whole HVAC system is a complicated one but there's nothing simpler (or better!) than giving amazing service at an awesome price. We always offer affordable and cost-effective HVAC systems that we will specifically tailor to any needs you have whether it's residential for your family or commercial for your business. Do you know all the amazing affordable HVAC repair services we offer? We do energy audits and reviews. We don't shy away from fireplace repairs so get ready to cuddle by the fire. How's your heat pump? We can definitely repair it. Is your furnace grumbling? Call us ASAP and let's keep you warm. 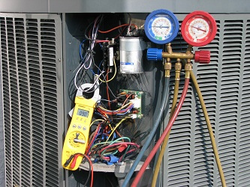 Checkups are good for you and good for your HVAC system so how about a Heating System Check? If you're looking for a fresh start we're an excellent company to ask about full installs. Something keeping the hot air from blowing on your cold feet? Let us give you excellent service from our highly skilled technicians with a heating system repair. You have to stay on top of emerging issues and possible problems in your HVAC System so please ask us about our cheap and easy Preventative Maintenance Program - it can save you thousands of dollars by avoiding a costly replacement or repair on down the line. Stuffy attic? We ventilate attics! Maybe that attic is too cold or there's a problem with the insulation? Let us give you a perfect insulation installation. We can clean your ducts and dryer vents - some of the most serious issues that can cost you on your HVAC system can be easily avoided by simple maintenance and check ups like clearing debris from these two problem areas. Don't Wait To Wake Up To An HVAC Crisis - Call Us Today!